The 1980s was a period of almost unprecedented rivalry and tension between the two main actors in the East-West conflict, the United States and the Soviet Union. 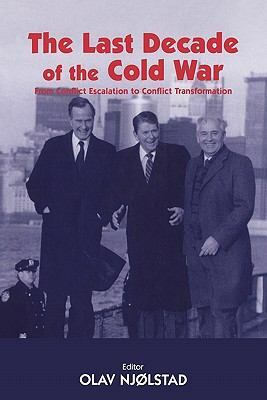 Why and how that conflict first escalated and thereafter, in an amazingly swift process, was reversed and brought to its peaceful conclusion at the end of the decade is the topic of this volume.With individual contributions by eighteen well-known scholars of international relations and history from various countries, the book addresses the role of the United States, the former Soviet Union, and the countries of western and eastern Europe in that remarkable last decade of the Cold War, and discusses how particular events as well as underlying political, ideological, social, and economic factors may have contributed to the remarkable transformation that took place.Njolstad, Olav is the author of 'Last Decade of the Cold War From Conflict Escalation to Conflict Transformation', published 2004 under ISBN 9780714685397 and ISBN 0714685399. Loading marketplace prices 150 copies from $41.61 How does the rental process work?